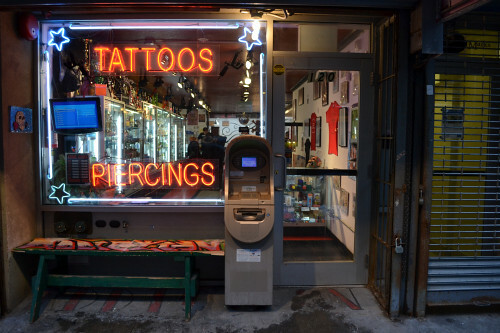 Covered in graffiti and often looking distinctly unloved, sidewalk ATMs are a common sight in the East Village. In fact, the neighborhood has more of the machines than anywhere else in Manhattan. Ready access to cash fuels the neighborhood’s bar scene and the machines generate a steady stream of easy revenue for the property owners who host them. But in December, the City Council made clear its view that the machines are a blight and voted to ban them from city streets. After some dithering, Mayor Michael Bloomberg signed the bill on Jan. 4. The law will come into effect in May. The decision has elicited mixed responses.